First, let’s grab the low hanging fruit. Routine maintenance on machines is a must in Wood, Pulp & Paper plants. 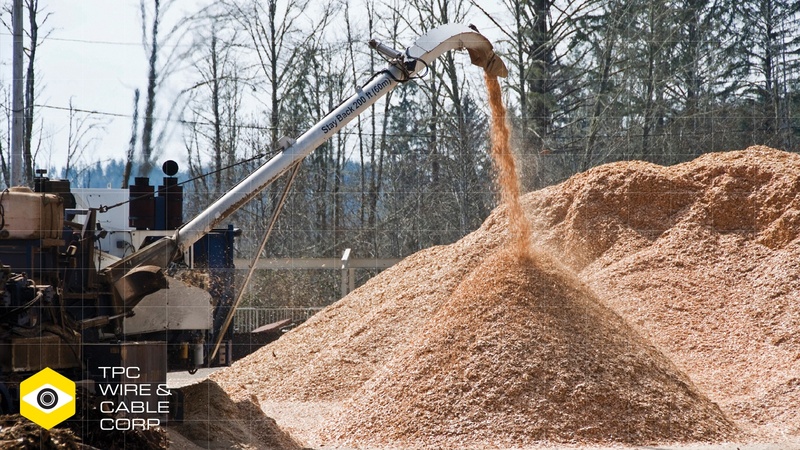 The smallest dust particle can alter measurement accuracy and cause problems with heat of electrical mechanisms, so it's important to control sawdust when you can. One way is to use well-designed air pressure and make sure the machine heads are free of any particles. Equipment should be sealed against the invasion of dust, especially those subject to high temperature; dust and particles can cause overheating which leads to failure. Being proactive and keeping machines and cables clean will keep machines running longer. A detailed book will help you create a proactive policy for scheduled maintenance. At the bare minimum, your logbook should answer; Who? What? Where? When? Why? How? No matter what cadence you set -- daily, weekly, monthly, make sure to keep your maintenance checks consistent. Some machines may require fewer checks if they aren’t subject to the tough conditions that other machines are exposed to regularly. Aeration pond cables need to be checked regularly, especially where wastewater and pulp slush is dumped. Why? If you are changing those cables often and you deem this as routine maintenance, there may be an opportunity to greatly extend your cable life with a more rugged solution. Cable replacement doesn't have to be so frequent. Weekly and monthly maintenance on scanners, machine heads, and other components help ensure optimal performance through their duration. Inspect while machines are up, which minimizes downtime, but also to detect operating issues. Assign control to the proper people for maintenance procedures and execute proper training. Perform training on normal operations, so issues will be known before downtime occurs and production is jeopardized. Train on standard procedures and what to do when problems arise. Shift engineers should be made aware of all protocols to keep your operations running smoothly. Cross-train all maintenance personnel on all on-going maintenance issues. If you’re unable to keep up with all of the maintenance demands in your already-busy operations, it can be beneficial to hire an outside company that are experts in the industry and have knowledge of the machines. Conduct a cost value analysis to see how much it would cost to hire maintenance professionals compared to contracting with an outside resource. Proven maintenance engineers and professionals will help ensure machines perform at optimal levels for their useful life. By following these maintenance tips for wood or pulp and paper machines, you can get the most out of your equipment and achieve optimal performance. If you are experiencing routine cable failure in your plant or within your aeration pond, contact us today and let’s start the conversation on how TPC’s portable power and automation cables can keep you out of those ponds.